Downtown Lowell's newest restaurant puts the emphasis on fresh and healthy cuisine. You've come a long way tequila. Local bartenders give us the 411 on this spirit from Mexico — and some tasty recipes too. 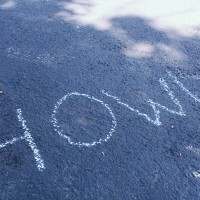 Tap into your sense of adventure and go exploring with HOWL's list of places and things to do off the beaten path. The region's best bands and solo artists gather April 9 at Blue Ocean Ocean Music Hall. Spring is in the air at Brox's roadside farm market in Dracut. Local bartenders favorite winter libations for ringing in the holidays. Nothing says fall in New England like picking your own apples and feasting on warm cider doughnuts. From the hypnotic pull of a technicolor dreamcoat to a surprise phone call from John Cleese and an unexpected visit from Jimmy Carter, MRT's artistic director shares some snapshots along his journey to Lowell. 1981 Ramen Bar dishes out homemade ramen with love in downtown Lowell.